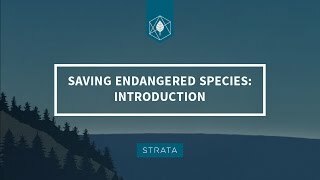 The ESA is meant to preserve threatened and endangered species from extinction, but biases in funding, research, and public attention mean non-charismatic and lesser-known species are often overlooked. The ESA doesn’t consider the concerns of private landowners, and unintentionally incentivizes them to destroy habitat that could be used for endangered species before these animals are discovered and land is taken from owners. “Cute and cuddly” species like pandas, wolves, and other mammals generally get more conservation funding and preservation efforts than non-charismatic species. 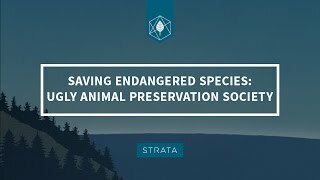 The Ugly Animal Preservation Society is dedicated to promoting conservation of non-charismatic or “ugly” animals. The blobfish was named the World’s Ugliest Animal by the Ugly Animal Preservation Society. Worldwide media coverage led to the blobfish rising to internet stardom, bringing awareness to the organization and other lesser-known species. 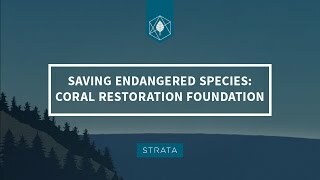 Although 902 of the 2,280 species listed as threatened or endangered are plants, they receive less than 5% of total conservation funding. One such plant is a species of yew called Torreya Taxifolia. Connie Barlow formed the conservation group Torreya Guardians to help protect the endangered state of the Torreya taxifolia. The population had declined from over 600,000 to less than 600, and she took it upon herself to help bring them back. The Torreya Guardians take seeds and replant them in areas that will best support the trees. Since the 1970’s, elkhorn and staghorn coral in the Florida Keys Reef have declined by 98% and one organization is working to help bring these coral back. The Coral Restoration Foundation is a private, non-profit organization that grows coral in a protected nursery then replants them in the original reef. As of 2015, this organization has re-planted 21,500 staghorn and 15,000 elkhorn corals, adding biological diversity and beauty to areas of the reef that need revitalization. In 1996, 19 wolves were reintroduced into Yellowstone in an effort to balance the ecosystem by reducing elk and bison populations. As population grew, wolves started straying onto private land, killing cattle and other livestock which created tensions between ranchers and the endangered wolves. 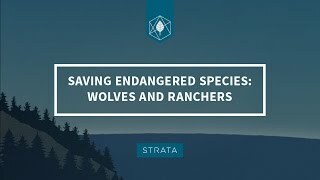 The ESA doesn’t reimburse ranchers for their killed cattle, unintentionally encouraging landowners to protect their property by shooting wolves before their livestock is killed. Private organizations like Conservation Northwest and Defenders of Wildlife reimburse the ranchers and provide range-riders to scare away wolves. These passionate individuals have helped reduce tensions and are conserving wolves while keeping private landowners happy. In the early 2000s, citizens of Bastrop County, Texas were required to set aside 15,000 acres of county land for a species of amphibian known as the Houston toad. Requirements like these often unintentionally incentivize landowners to kill endangered species and cover up any evidence so they can maintain control over their land. A local rancher named Bob Long found a better option by adding habitat protection and fencing on his property for the toad, in exchange for a Safe Harbor Agreement. Safe Harbor Agreements stipulate that if the landowner takes steps to make their land more habitable for an endangered species, more regulations won’t be imposed and they can be compensated for their efforts. Safe Harbor Agreements save species and promote cooperation between private landowners and federal organizations. The American Prairie Reserve (APR) is a private nonprofit organization based in Montana that is working to create a nature preserve that will be 1.5 times the size of Yellowstone National Park. APR raises money from private donors that agree with and support its conservation-based mission. APR is working to restore the grassland ecosystem of North America, which supports hundreds of unique species of plants and animals. Part of APR’s mission is to restore habitat for endangered or threatened species like the black-footed ferret, piping plover, swift fox, and others. In 2005, APR reintroduced 16 bison on to the reserve. Now there are more than 600 bison roaming across 31,000 acres. Most people think the only way to save species is through regulation, but individuals are making a difference on their own. Passionate individuals and organizations are developing creative solutions to conserve the species they care about. Letting these creative solutions thrive will help preserve species and their habitats for generations to come.